will be heading up support for Air Marketing in the new role of Client Relationship Director. Chris is well known within the City after being part of the Exeter Chiefs, playing seven seasons and 125 senior games for the club. After retiring from the game, Chris transitioned into corporate life and fronted sales at the club through six seasons of continual growth. Having made the move to his own agency, Chris is looking forward to helping take Air through it’s next stage of growth. such as their relentless positivity, and attitude to ‘saying yes’ and ‘finding a way’. After a chance meeting, Owen Richards, (Managing Director of Air) and Chris knew that they wanted to find a way to work together. And so, this role was born. As Client Relationship Director, Chris will be helping Air to grow their market share and continue their rapid expansion. Chris will be helping businesses to implement a successful growth strategy, build their sales pipelines and shape an Air solution to fit their business development needs. As a face for the brand, Chris will most likely be seen at events representing Air locally too. 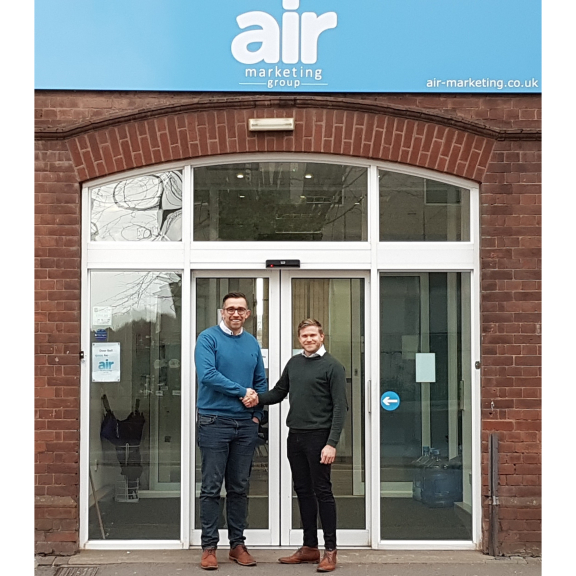 This partnership represents a huge step for Air Marketing Group and they are excited about the opportunities that this venture could bring.